Topshop's highly coveted collection is now available in Montreal!!! Yes, now as in starting TODAY! 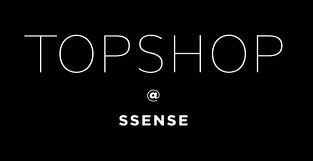 SSENSE's two-storey Old Montreal location will feature Topshop/Topman alongside with all the designer brands that they is best known for. Anyone available for a shopping date with me?